The Outcasts of 19 Schuyler Place is an interesting children’s book written by E.L. Konigsburg. This author has a reputation for writing pretty good books (From the Mixed-Up Files is her best), so I picked this book up on a recommendation from a friend. I enjoyed it; definitely a different-from-normal novel, but there was just something about it that didn’t sit right with me. Read on for all my thoughts on the book. Most E.L. Konigsburg books have a typical lightness/humor to them. I don’t know why, but this book was just lacking some of the characteristic polish that made the author’s other books so good. This book sort of felt tedious, and the style was definitely different than the others. The sentences themselves just seemed to have a kind of heaviness about them, if that makes sense. The story, however, was interesting. The book tells of Margaret Rose, a kid who just doesn’t fit in at summer camp. Her uncles take her out of the camp, and bring her back to their house, which is her favorite place to be. Margaret loves the Towers – the three towers that the uncles have been building for forty-five years. Once she finds out that the city is moving to destroy the towers, she starts making plans to save the structures. And she finds friends in unexpected places that help her try to save the towers. I don’t know; this book just didn’t click with me. It felt like a strange plot placed in an ordinary setting. The entire book just seemed – weird. It wasn’t a bad book, that’s for sure. It was just strange. It’s hard to explain, but let’s just say that if you’re expecting one of the trademark E.L. Konigsburg books, you may be disappointed. Still, for being a light read it’s not bad, so I guess if you have the time you could pick it up at your local read and give it a try. 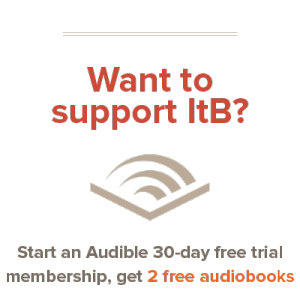 Second: I’m so glad to have found this site (through BoN) as I used to be an avid reader, but becoming homebound as of late (children and the whatnot) I have not had as much of an opportunity to be exposed to new books. Your site gives me the opportunity to read reviews and find new reading material. Thank you! This is really great. I never knew that some of these books even existed but I think I may need to check some of the out. I love to read many different styles of books and poetry though typically I write mostly dark/gothic/horror and thriller type stories and poems myself. If your interested, please check out my blog and comment on some of my works. Would love your professional opinion. @Sessy: I’ll drop by and check out your poems. Thanks for sharing! Mixed Up Files is sooooo much better than “pretty good.” Such a wonderful book–great story that sticks with you through adulthood. And as a child imagining spending the night in the Metro. Museum of Art is awesome. Konigsburg also got a John Newberry for “The View from Saturday,” which I haven’t read in its entirety. Just FYI for those who are interested. I’ really2 happy to be able to read this blog because i am able to be given information about this book . actually it is a new book for me. i like to read new books with enteresting story. i hope i can find it. i don’t know how to say thanks. @Bailey…I really enjoyed that book as well. It was fun to read, far fetched, yet believable. @Risad…I’m glad that we were able to help. I hope you can find the book. 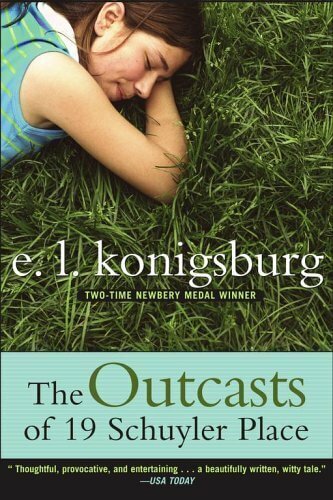 I am a fan of Konigsburg and I have read “Mixed-up Files”, “View from Saturday”, and “Outcasts”. While I enjoyed them all, I think I’ve enjoyed Outcasts the most. I think you make a good point in saying that “Outcasts” is not typical of Konigsburg’s style. I can’t put my finger on it exactly, but it’s so deliberately written in some places (especially the scene with the incomplete painted rose) that it reminds me of being lonely as a child. It’s not an uncommon theme in her books, not by any stretch. But this one makes me feel like the adult, and not the child, remembering. The older i get, the more profound things like that seem. *The story is what it is, preferred or not. But it’s just plain well-written, and it’s pretty hard not to like that. I agree with you – though this book is not badly-written, it’s the style that’s definitely different from the other two books. Like you said, it’s hard to put a finger on it. I guess just for some people the style is what resonates with them. For me, I preferred her other books. But the book itself, taken alone (without the other books) I enjoyed. Loved this book when I read it! It caught me like a fly in a swatter.